What if the fate of the United States’ geopolitical interactions could be determined by the weight of a dead ox? All right. You’ve think I’ve lost it. The pressures of grad school, the excess of coffee, the lack of sunlight (curse you, Ohio, and your never-ending winter). But bear with me here. Everything’s going to make sense. Well, as most as it ever does. First, let’s return to the dead ox, and then work our way up to the world-changing decisions of the most powerful country in the world. 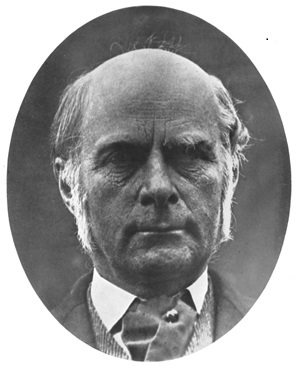 Back in 1906, Francis Galton (a famous statistician, who, over a hundred years later, would unknowingly cause me astounding amounts of grief via my stats homework) was at the county fair where they were hosting a competition to see who could most accurately guess the weight of a dead ox. And while none one’s guess was remarkably close to the actual figure (1,198 pounds), he had an interesting thought: what happened if you took everyone’s individual score and averaged them together? When people make guesses, they are either going to be above the actual value or below it. This distance, then, from the actual score can be called error. And when you average all the scores together, the error cancels each other out (those above account for those below) and you’re left with something close to the true value. A few years ago, an ex-professor from Ohio State University wondered if you could apply this principle to other things–like the probabilities and expectations of international outcomes. And guess what? The figures averaged across all the individuals—individuals without classified information, without extensive training in the subject, just google searches and their own intuition—are 30% more accurate than the top experts working for the CIA. Besides the mathematical principles of error, this Good Judgment Program also benefits from the fact that there are no collective agendas across such a diverse group. Whereas CIA members’ estimations may be biased by expectations (what their superiors expect, what the trend of thoughts around them indicates, what would be most beneficial to the country), these random individuals don’t have such investment. And I thought my impression of the CIA’s abilities couldn’t get any lower.. Good job, interesting stuff. Haha It makes you wonder about the fate of this country, when the organization dedicate to gathering the information to protect it is no better than a bunch of regular Jo’s. Of course this topic is of great interest to those with my background. Nice Blog Jake! Keep up the awesome work. Thanks, Greg! I’m glad you enjoyed it. Stats is an interesting concept. Also, I like the new green color. Perhaps it represents all the $$$ you will be making when known as Dr. Teeny?